Divine water has drilled 11 wells in Busoga region which has improved the lives of over 6,000 people! In 2018 Divine Water drilled 4 new wells! Every dollar of Divine Water’s donation goes towards the drilling and installing of clean water access points for our partner communities in the Busoga region of Uganda. 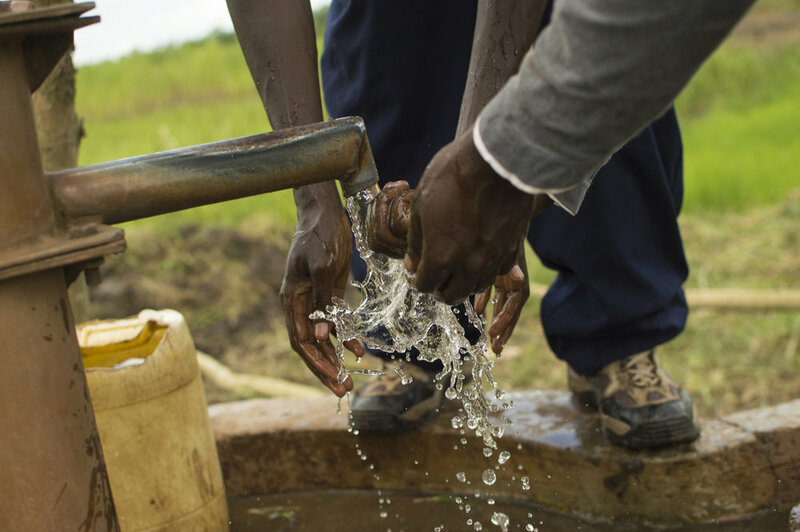 We engage the entire community before the drilling of a well with holistic sanitation and hygiene training to make sure the clean water access point they receive stays clean, and is maintained properly by the community. There are over 50,000 broken or unusable boreholes in Africa, we don’t want to add to that number, so we do the hard work before the well is drilled to ensure its longevity and continued use. We continue working in each village after the borehole is drilled with the help of other donors so that your investment will continue to impact generations to come.